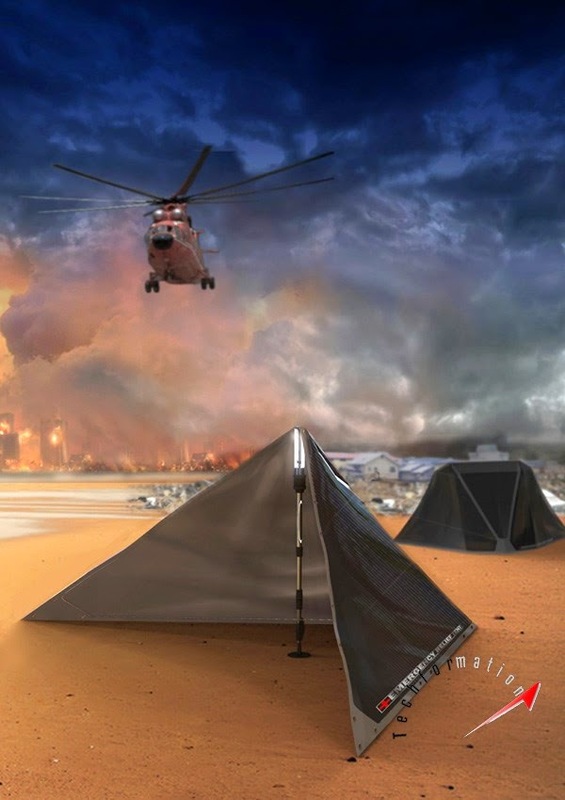 In any disastrous area, rescuers uses camping tents to accomplish their basic needs. 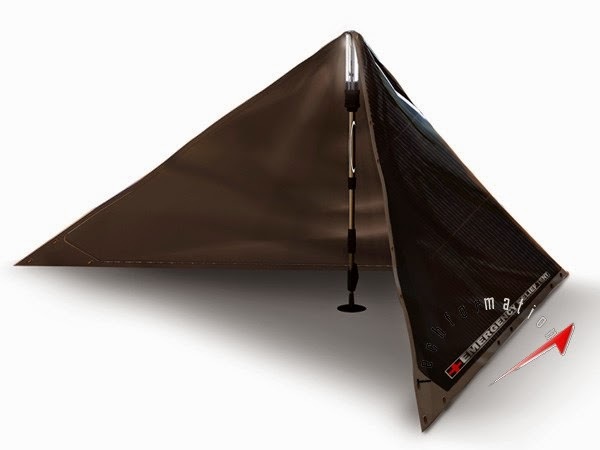 Designers added many useful features to this camping procedure making this very helpful. 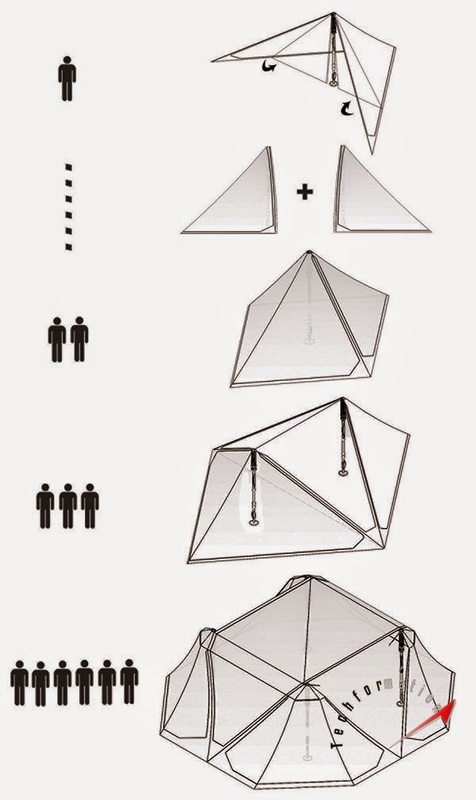 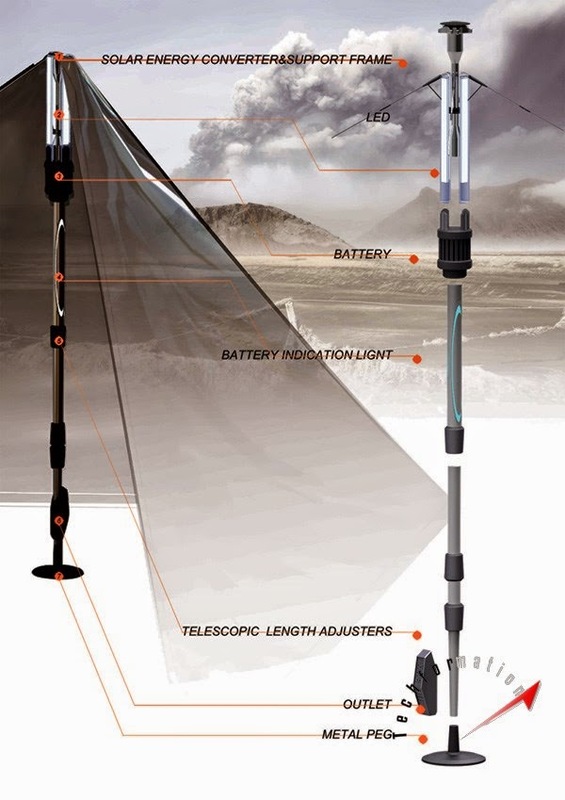 The tent is based on a single stick which holds a solar panel for energy conservation, LED light for display purposes, a battery to charge LED through solar panel, battery indicator, inbuilt telescope with adjustable mount.